For many individuals, living costs have risen so significantly that even the essentials have become quite difficult to afford. One of the more necessary expenditures is that of proper health care, and for many this has become far too costly. Families have been hit hard by this, especially for those with children to worry about; not having the proper healthcare plan or enough money to pay for medical expenses can be devastating. One thing to take into consideration is how to limit the ways in which your child can become sick by ensuring that the environment that they live is a healthy one. “In 2006, a total of $98.8 billion was spent for care and treatment of children.” We can assume that this cost has increased, and mainly attributable to the following conditions: acute asthma, bronchitis, infectious diseases, and in extreme cases mental disorders and trauma related disorders. 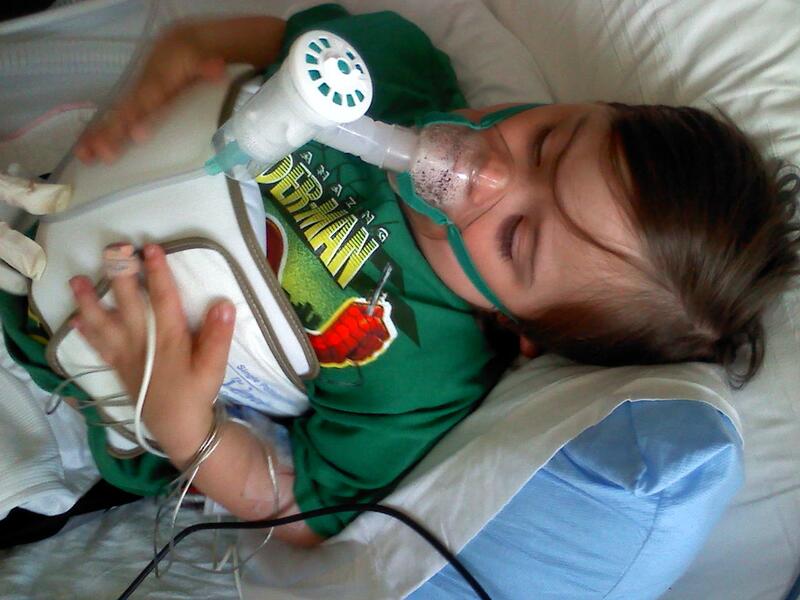 For asthma alone the cost for treatment was nearly $10 billion. Acute bronchitis treatments cost approximately $3 billion and $2.9 billion went towards the treatment for infectious disease. Of the above conditions, asthma had the highest number of children who suffered from the ailment with nearly 6.8 million having been treated in 2012 alone. These numbers conveyed by the U.S. Department of Health and Human Services indicate just how prevalent such illnesses are in young children and that prevention would significantly reduce the amount of money spent per year on this issue. Contaminants such as Volatile Organic Compounds and biological components like mold can make several ailments worse and have even linked to the onset of chronic disorders such as asthma. By identifying the contaminant via testing and removing of the problem, the health of a child in that environment is no longer in jeopardy. In the United States, there are over 20 million people who have been diagnosed with asthma. Of those individuals, a good segment of that total is children. As mentioned above, asthma effects the most children within the United States yearly and understanding the disease and its causes can help to reduce attacks and limit expenditure. Asthma is a disorder in which inflammation of the airways causes a child to wheeze, have shortness of breath, chest tightness, and severe coughing. There several things that can cause an asthma attack to begin and these are known as “triggers.” These triggers can include mold, animal (pet hair or dander), Volatile Organic Compounds (found in several household products), pollen, respiratory infection, and tobacco smoke. An asthma attack can last for a few minutes to several days, and can be quite damaging to a child’s health. Testing can determine if a given allergen is responsible for the attacks, especially with children who suffer from persistent asthma. “The goal of treatment is to avoid the substances that trigger your symptoms and control airway inflammation.” This can also result in fewer trips to the doctor or emergency room, allowing for the health of your child and less money being spent on treatment. Yet another condition that contributes to the billion dollars spent on child healthcare each year is pneumonia. Pneumonia is an affliction of the respiratory system as a result of an infection in the lungs. This illness affects millions of people annually in the United States alone and can be caused by a bacteria, virus, or fungi. This illness is especially prevalent in young children and infants, and can be quite debilitating. 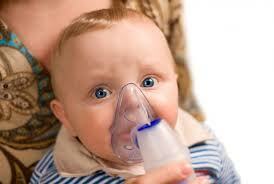 Children are more susceptible to the onset of this ailment given their vulnerable respiratory system. If they have an existing autoimmune disorder, it can be even more damaging. The symptoms associated with pneumonia include cough, chills, fever, and shortness of breath. The severity of the symptoms will determine whether emergency care is necessary. Some of the more severe complications associated with pneumonia include: acute respiratory distress syndrome (ARDS), severe respiratory failure, or lung abscesses. Vaccines may help prevent pneumonia in children and thus eliminate the possibility of severe reactions. Another important factor in limiting the damage this ailment can do to a child is making sure that irritants such as mold, pollen, specific chemical compounds, and other contaminants are identified and removed from the child’s environment. Finally, there’s Bronchitis, which is third on the list of reasons a child receives medical care. By reducing their exposure or reducing things that can make the condition worse, it is possible to keep children healthy while lowering cost of care. Bronchitis affects the main air passages to the lungs and causes them to become inflamed. This ailment may have a short duration (acute) or last a long time (chronic) and be recurring. The short duration bronchitis appears generally after the onset of a viral respiratory infection. It has the tendency to appear first as a cold or sinus infection that makes its way to the lungs. Children are one of the groups that are at higher risk of contracting this illness. The chronic version of this ailment can be diagnosed simply by knowing that the patient has had a cough with mucus most days of the month for at least 3 months. Chronic bronchitis is a type of “chronic obstructive pulmonary disease, or COPD.” The following things can exacerbate existing bronchitis air pollution: mold, pollen, and infections. The following symptoms are associated with both types of bronchitis: chest discomfort, cough with mucus, fatigue, fever (usually low), shortness of breath and wheezing. Important preventative measures to keep a child from getting this illness include removing second hand smoke, reducing their exposure to air pollution and allergens like mold, and washing hands frequently. The idea of a child becoming ill, especially when it has the potential to become chronic, can be a very scary thing. It can also be an issue when it comes to the funds to care for such ailments. It is important to understand what is causing the problem by having tests done. It’s also important to limit the child’s exposure to it. By taking such preventative measures, the health of your child can be improved significantly, even if they are already sick.